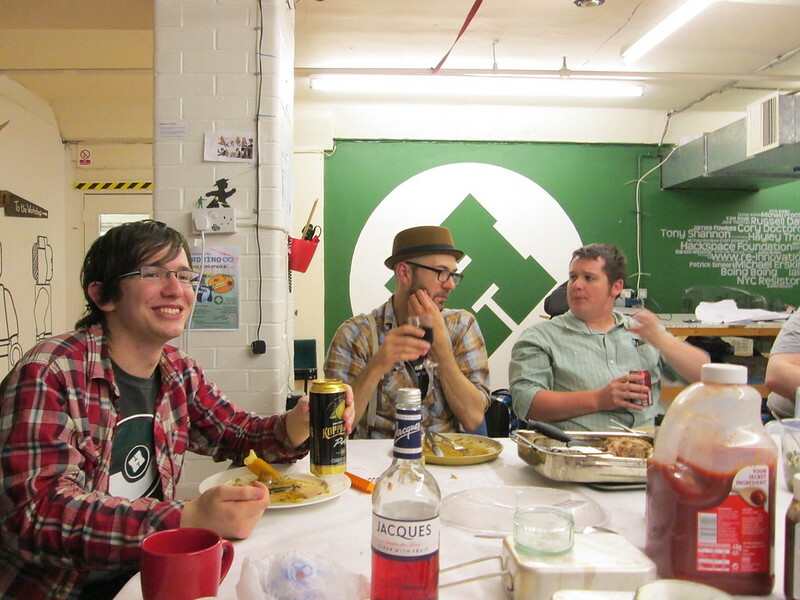 It’s been a year of consolidation at Nottingham Hackspace with a few milestones too. It’s was our 2nd full year at Roden House and our 3rd since Nottinghack was founded. This year marked us breaking the 200 member boundary but also slipping into 2nd place as the UK 2nd largest Hackspace (with London Hackspace’s move in June). 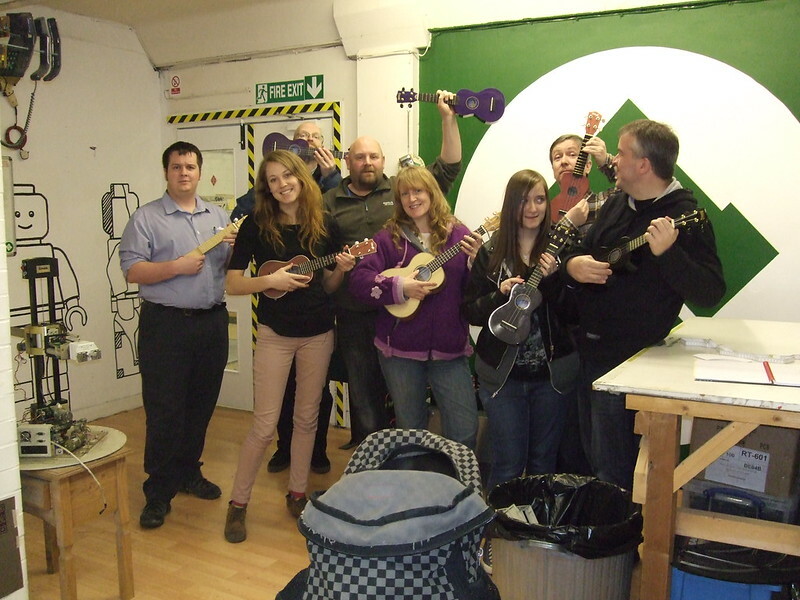 The Ukulele Orchestra of Hackspace founded and has since spawned into a number of interesting ventures including Luthiers (Stringed Instrument Makers) Club and Olde Timee Band who you can here playing here. If that is something you like then you can join in most Monday evenings from about 7pm. In fact 2013 was very social all round with the inauguration of Friday’s informal “BAD MOVIE NIGHT” as well as some nice group meals! 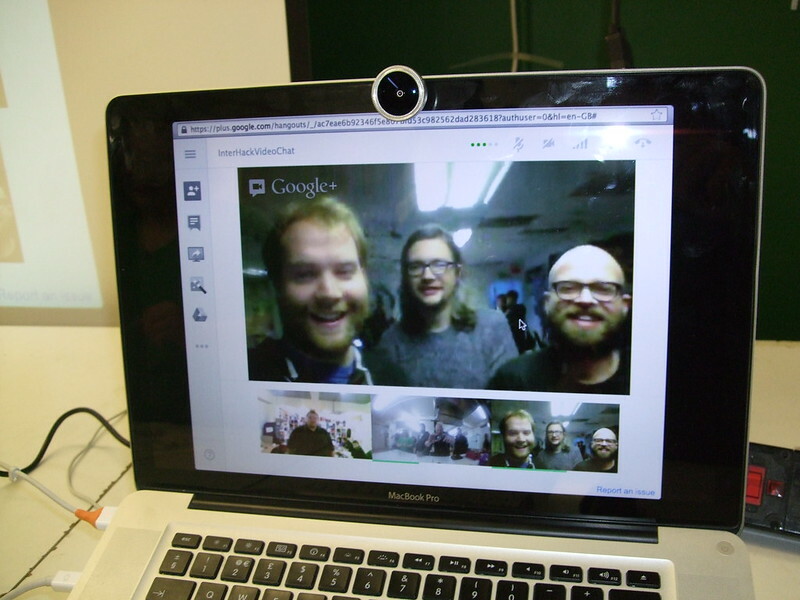 Our appearance of television coincided (and not by accident) with us being featured on Hack-A-Day and as a result we had our busiest open night ever… so we decided to do a live hook-up with London Hackspace and Hackspace Manchester! 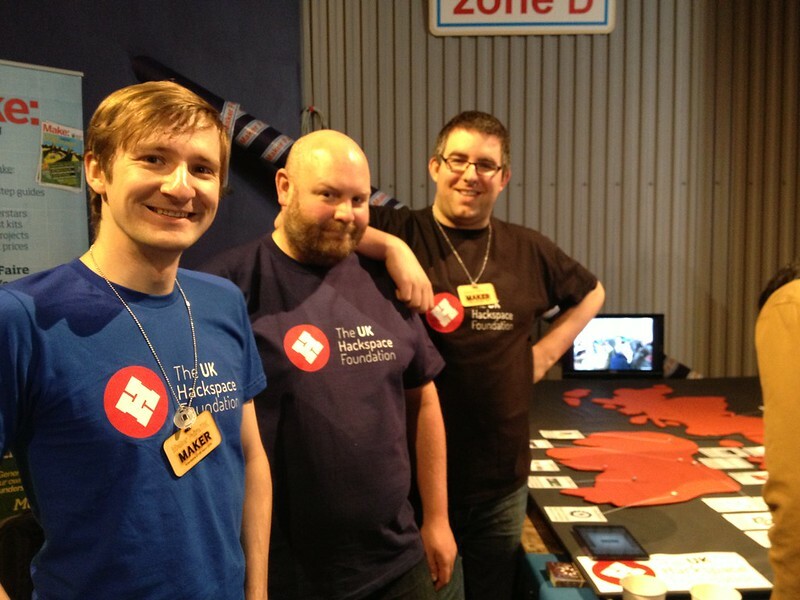 We were very happy to see the return of the UK Maker Faire this year and of course Nottingham Hackspace was there in strength providing not only a Hackspace table but also a UK Hackspace Foundation table as well! We’ll be going to the Maker Faire 2014 too of course. Will you be coming along? With so many new members we had a very busy and full Annual General Meeting this year. We needed to get at least 50 members in the room! It was a good opportunity for a group photograph. We’ve had some super hard-work put into running workshops of all kinds though the Arduino workshops have been sold-out and very popular all year! We have more in 2014 check the calendar. 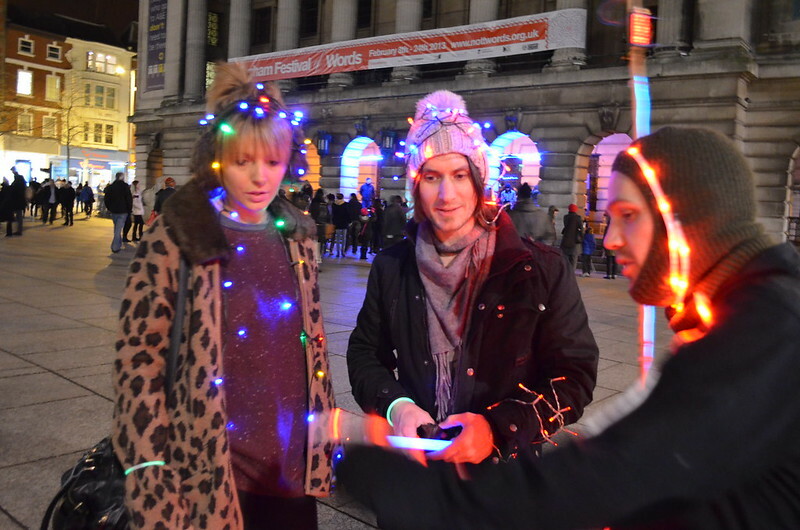 We had fun around Nottingham too when we took part in Light Night… we’re doing that again in 2014 so break out the LEDs and EL Wire! … we got outdoors again and into the Arboretum to join in with the Green Festival! What will 2014 bring? 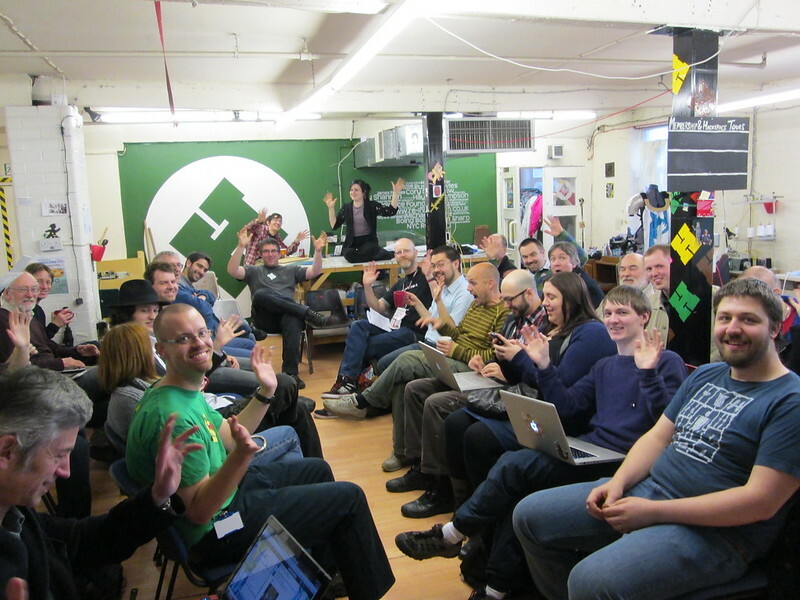 We’ve a lot of things planned and we can’t wait to see what you build at the Hackspace!